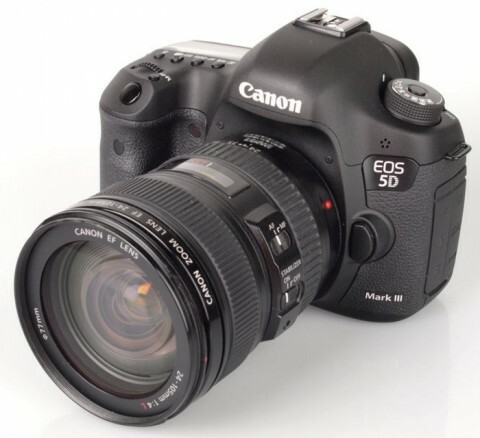 The Canon EOS 5D Mark III is a digital SLR camera designed for exceptional still images and movie recording capabilities and it is dedicated both professionals and enthusiasts. The EOS 5D Mark III is very well built with a solid construction (with a magnesium alloy body) and good handling and has a series of upgrades, compared to its predecessor, the popular EOS 5D Mark II. The Canon EOS 5D Mark III comes with a new 22.3 MP full-frame CMOS sensor and a new DIGIC 5+ Image Processor, that allow camera to produce detailed images with immense low-light sensitivity. 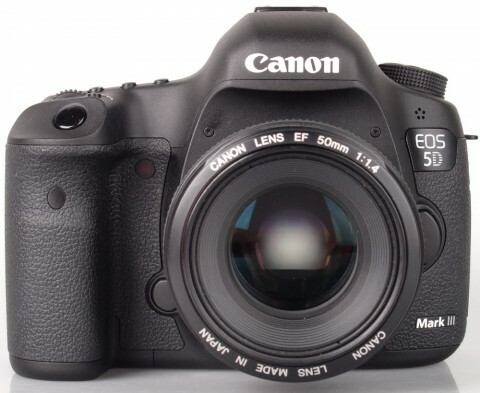 The EOS 5D Mark III has the ability to record Full HD 1080 p videos and also features a 61-point auto focus system, 63-zone metering system, an ISO range of 50 – 102,400 and a larger 3.2 inch LCD screen. 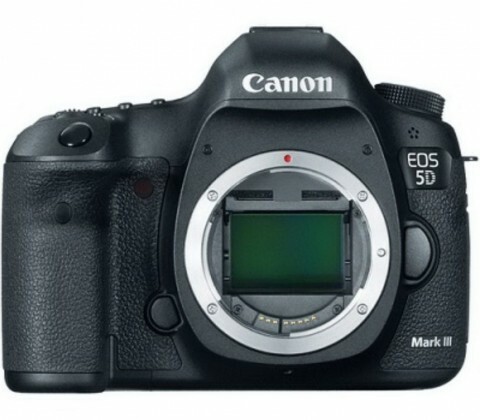 The 5D Mark III has an updated EOS integrated cleaning system that helps to reduce and remove dust within the camera body. 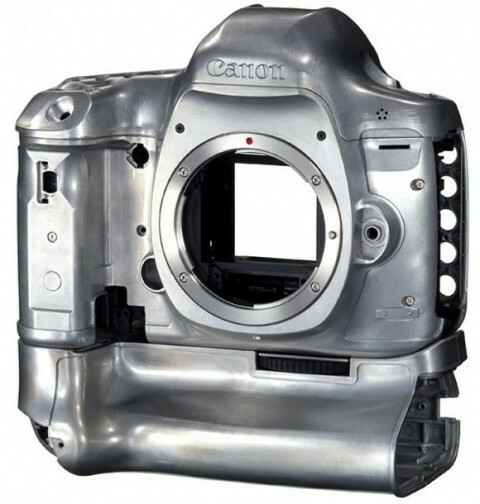 The magnesium alloy body construction gives durability to the camera and the redesigned grip offers easy holding when shooting or carrying the camera, while the rubber skin coating has been engineered for all day comfort in hand and also coats the camera’s card slot cover. 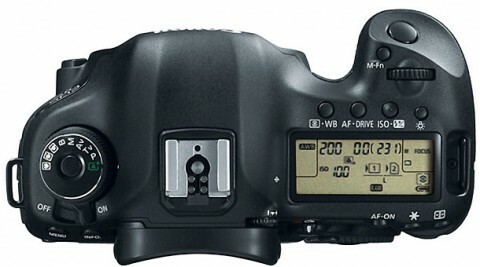 The Canon EOS 5D Mark III also has an incorporated High Dynamic Range (HDR) mode that allows for the creation of HDR images in-camera, reducing the time needed to manually overlay images in post-production. This mode is especially useful when photographing scenes with a great deal of contrast. 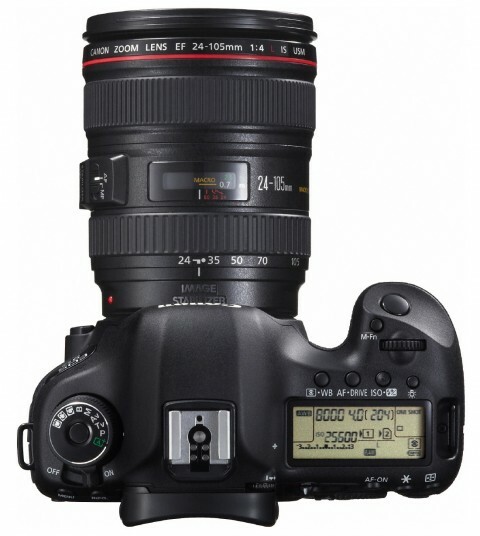 It is indeed a great camera and for current 5D Mark II users or other owners of Canon full-frame lenses the all-important question ‘Should I buy one?’ is an easy one to answer. The 5D Mark III is in almost every aspect a better camera than its predecessor and an extremely enjoyable photographic tool. The Canon EOS 5D Mark III builds on the success of its popular predecessor with a series of improvements that add up to a much better all-round camera for stills and video alike. The 61-point auto-focus system in particular is very welcome, along with the excellent performance at higher ISOs, faster continuous shooting and a much more refined movie making interface. 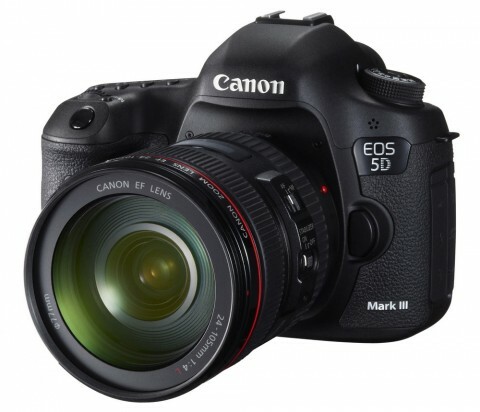 The Canon 5D Mark III is a professional-grade full-frame DSLR that builds on the strengths of previous models in the range to deliver a hugely impressive camera that is sure to appeal to video enthusiasts as much as stills shooters. Image quality throughout the native sensitivity range is excellent, noise is well controlled and there’s plenty of detail. The AF system has been given a serious upgrade on what the Canon EOS 5D Mark II version has, and it puts in an excellent performance.